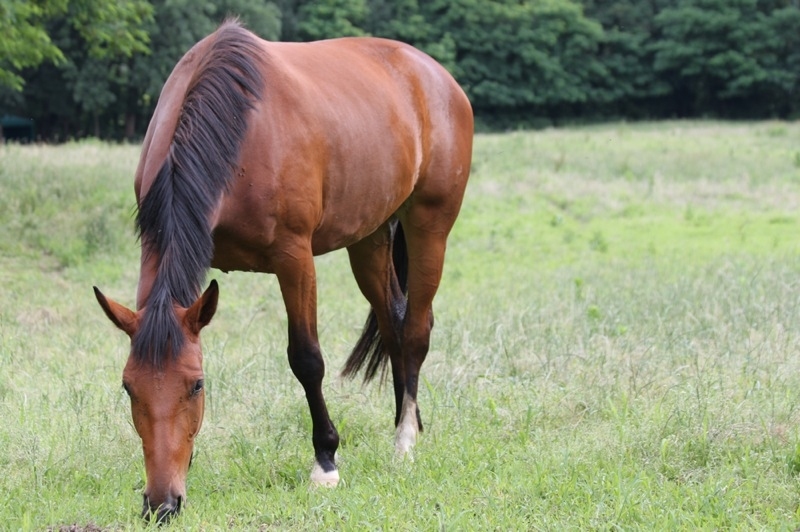 We have approximately forty horses at our stud farms, which are divided into "sport" and "breeding" sections. 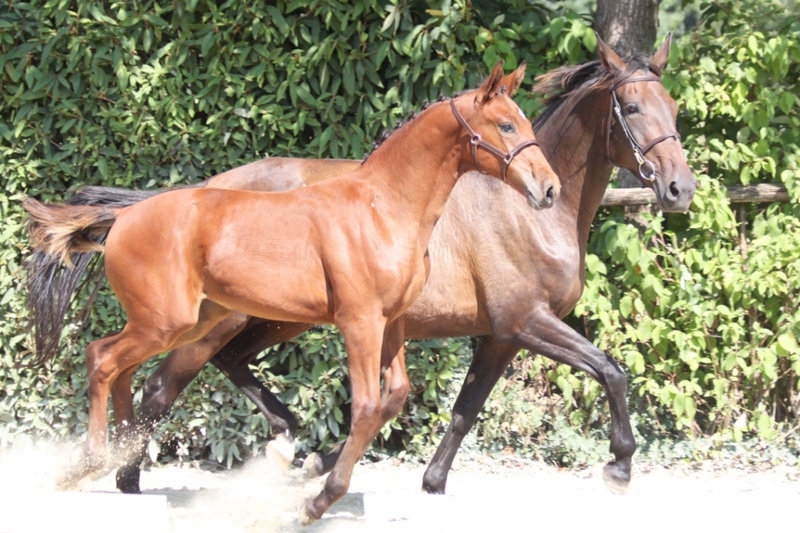 We focus on quality horses: modern and competitive. 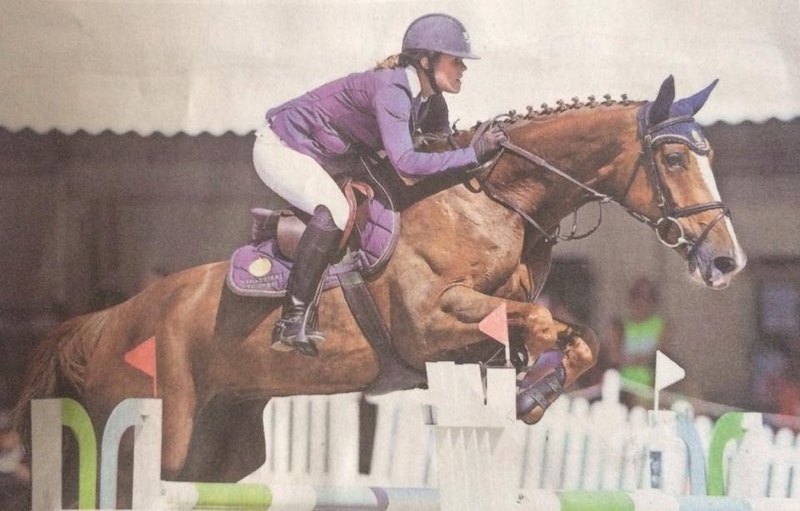 SPORT: Martina Meroni is the first rider at our stud farm. 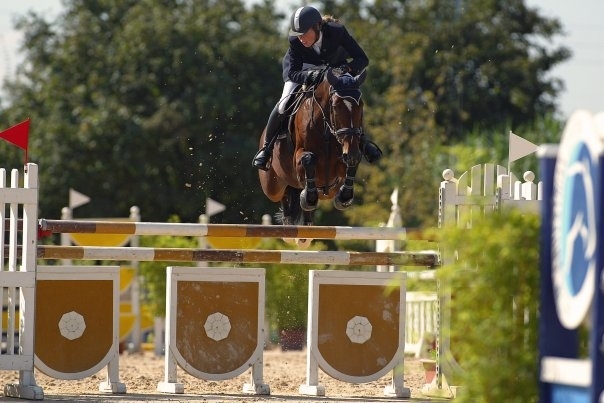 Her goal is to be highly successful in international competitions. 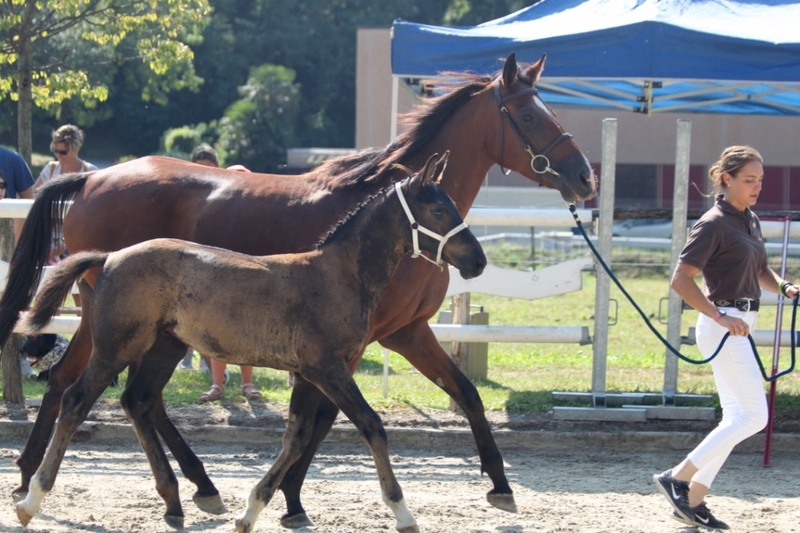 She is a professional sport horses trainer of all ages. 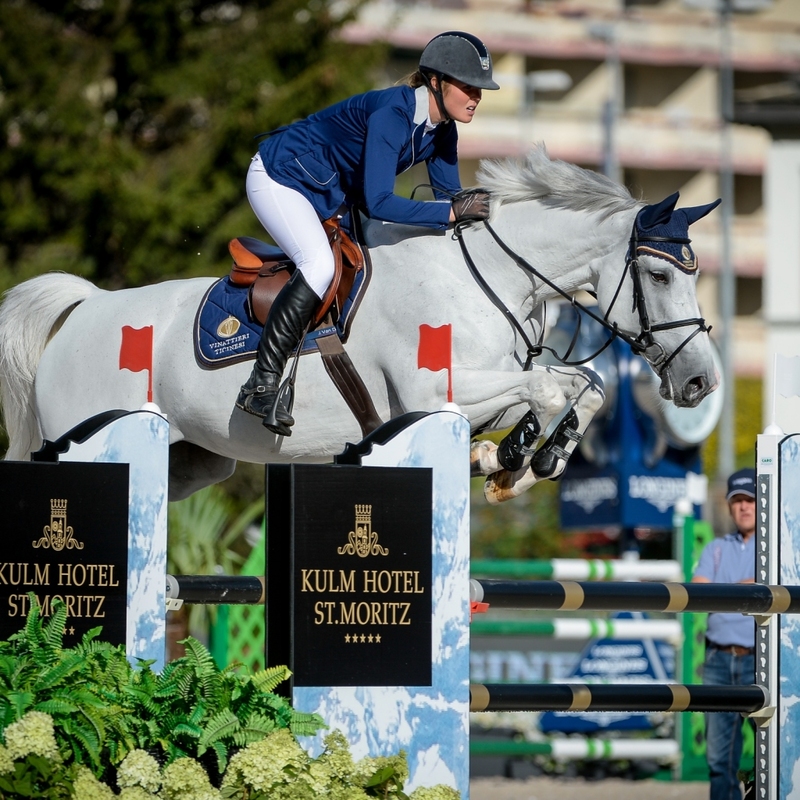 Our horses take part in contests all over Europe. 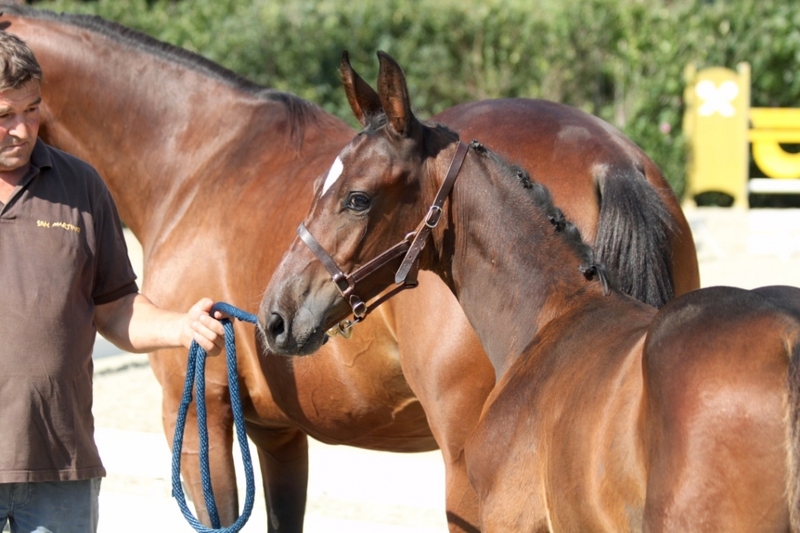 BREEDING: breeding is a big passion that has always characterised our family. 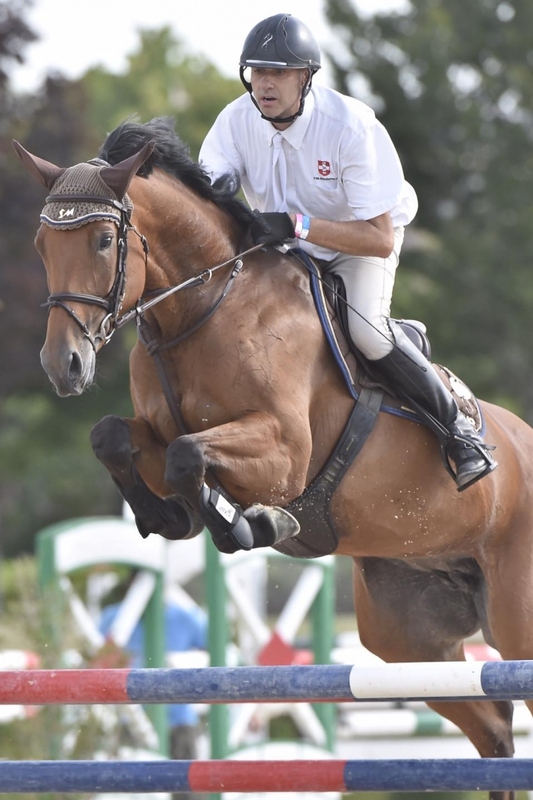 Breeding show jumping horses requires commitment and devotion. It is paramount that these requirements be kept updated in a fast evolving discipline. Competition is really strong and it is essential to have quality genetic material. 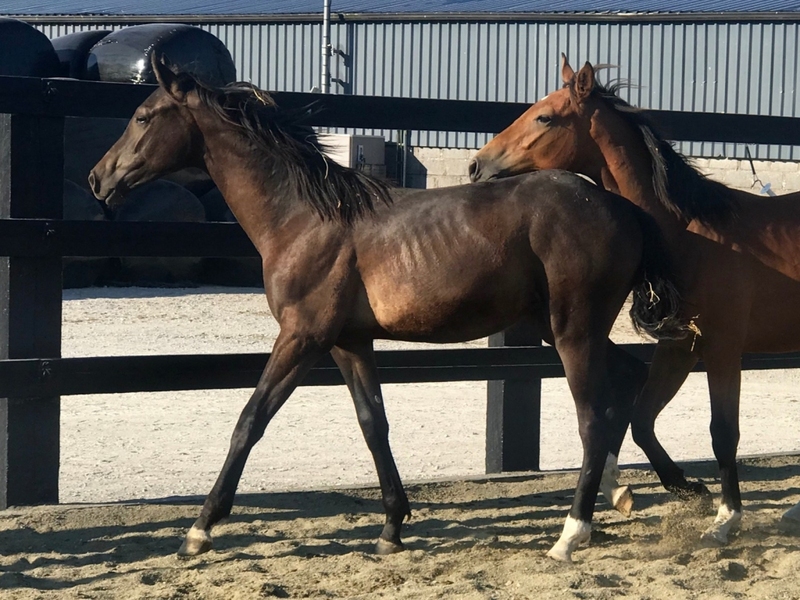 Our work especially focuses on broodmares: health, sport performances and maternal lines are the criteria according to which we select our mares. The SAN MARTINO STUD also has stallions derived from strong genealogical constitutions, which can transmit sportive and reproductive qualities. 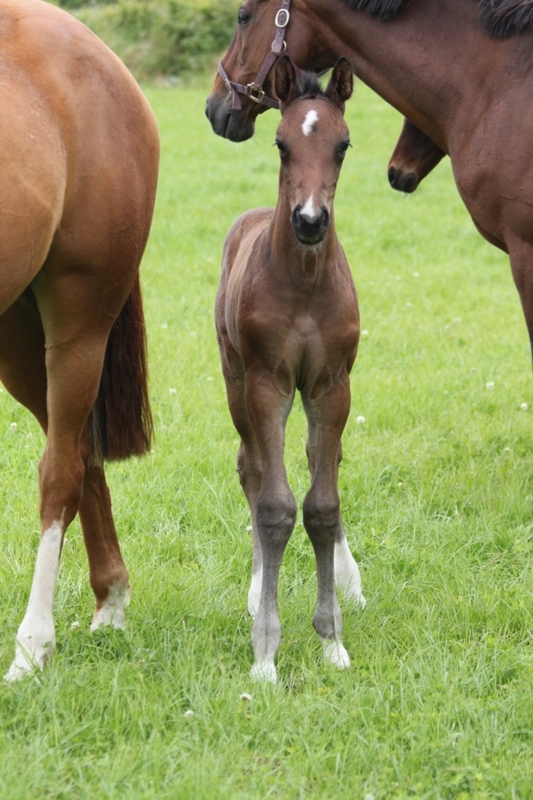 Bay foal born in Belgium in 2015 ba Ugano Sitte and Guernica Sitte (Arko III x Aramis de la Cense). The legendary name Capitol appears twice in his pedigree! 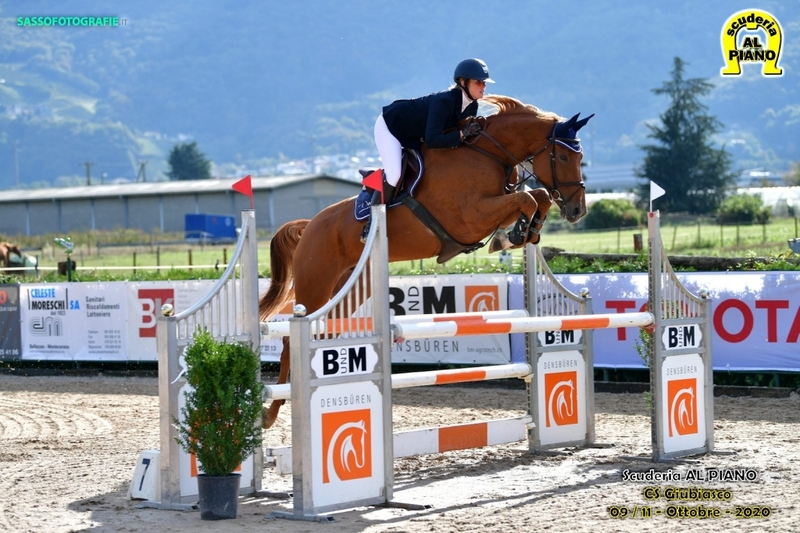 Born by embryo transfer to Elvis Ter Putte and Vici van't Plutoniahof, a jumper in the 160 class! The best BWP origins! 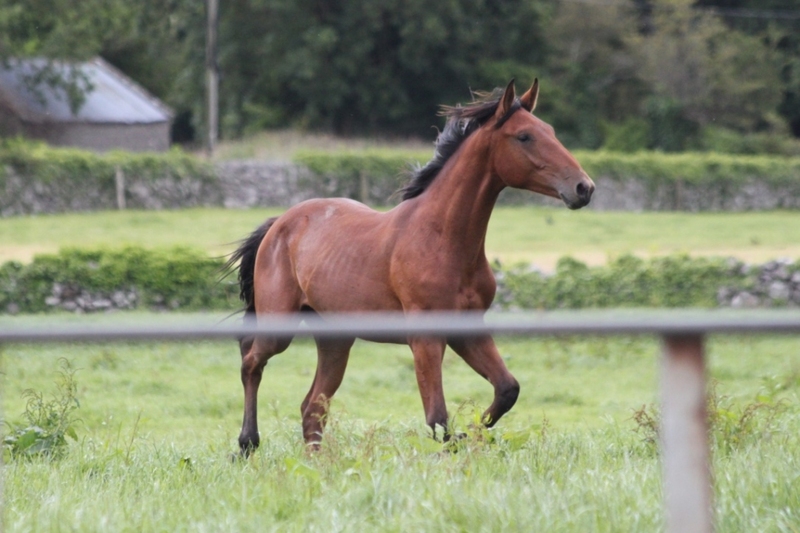 Born in Ireland, he is spending the first years of life on the lush pastures that this land has to offer! 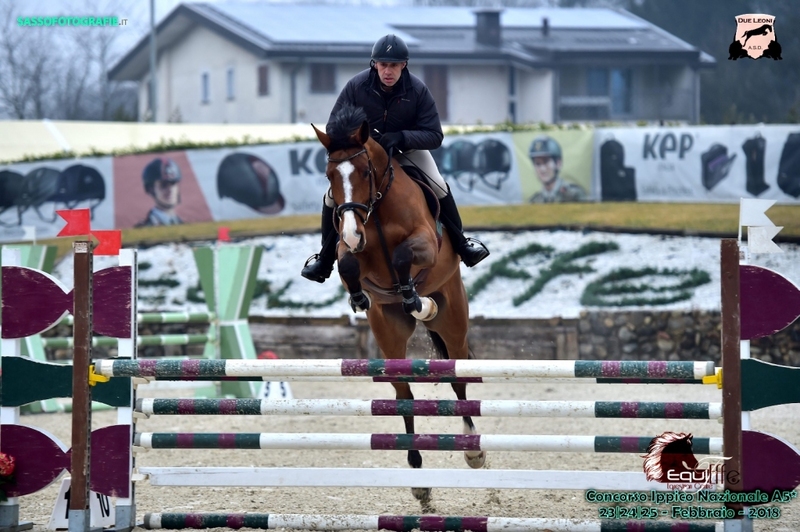 A wonderful mix: Kannan on the Gute Sitte Olympic maternal line! A mix of the best Holstein, French and Swiss lines! 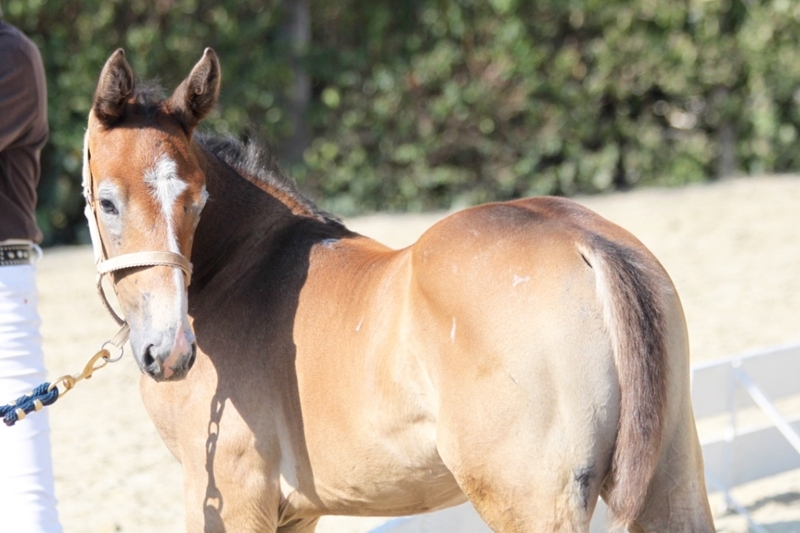 Born via embryo transfer to the world champion Vigo d'Arsouilles and S. Termie, a descendant from an important Dutch line! 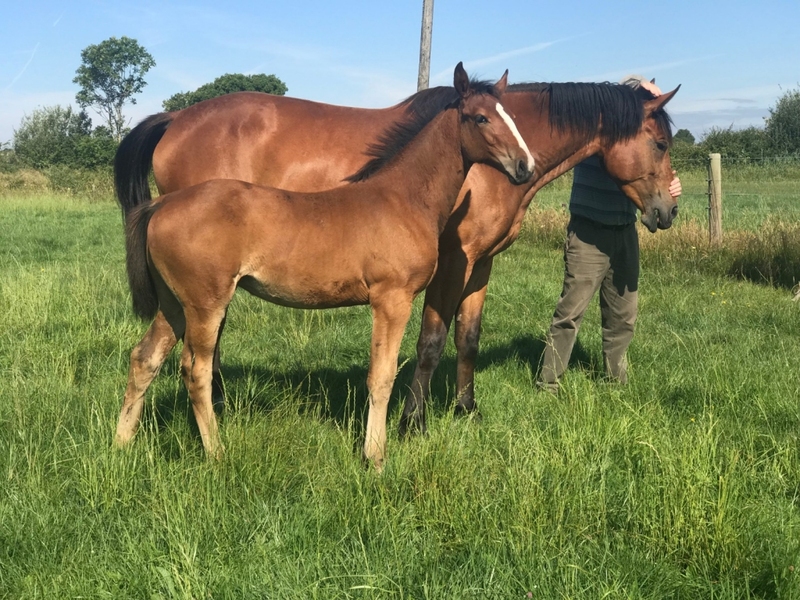 Born in 2016 by the promising young stallion Mosito van het Hellehof (Elvis Ter Putte x Nabab de Rêve) and S.Termie (Calvados Joost) who was winner in 145 classes! Modern and reactive foal! 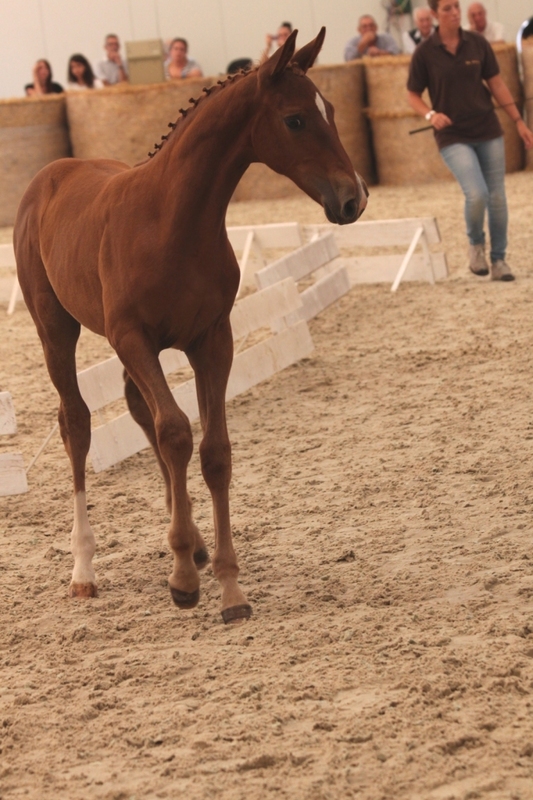 Chic, modern and full of energy this foal was born by Tornedo FCS (Darco x Ramiro Z), stallion who has reached very interesting results in young age and who is now demonstrating to be a good sire too. 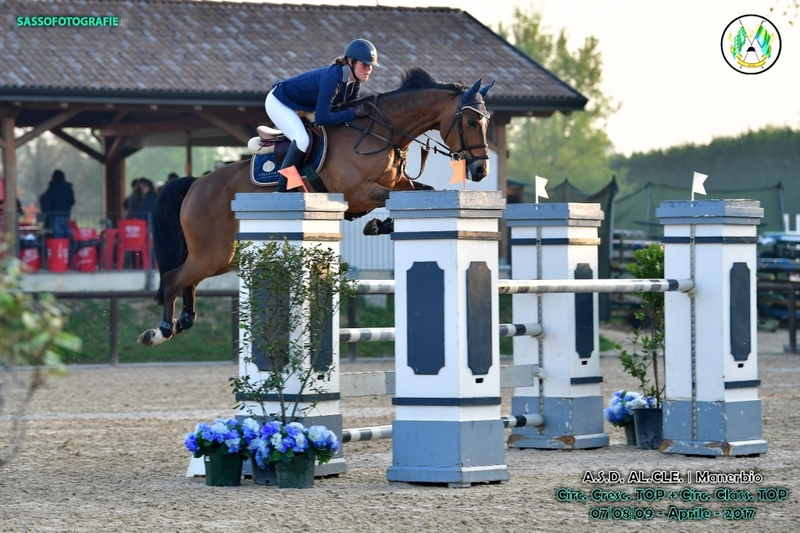 His mother is Vici van't Plutoniahof (Nabab de Rêve x Rotary), placed in 160 class and already mother of international jumpers of 160 class. 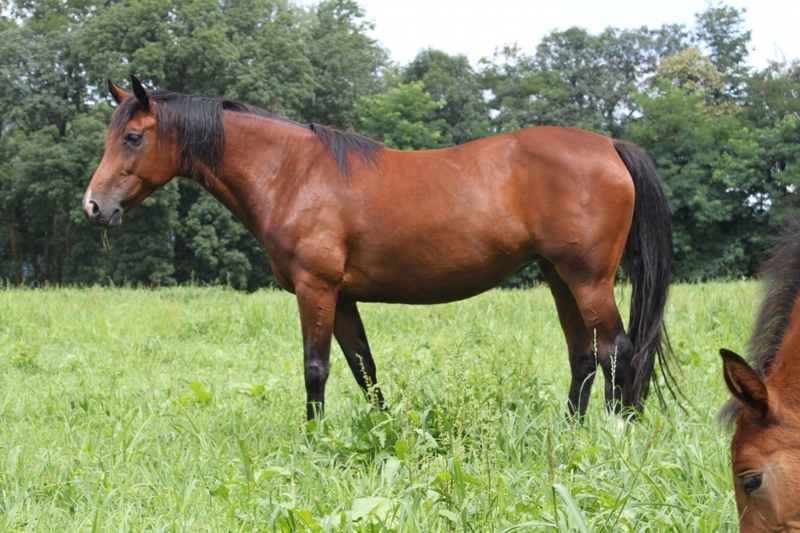 Big dark bay mare with many scope! Results 7 y.o. class and 145 class! An important sport career with results in 155 classes! Speed, carefulness and good blood for this nice horse. Stallion born in 2010 for the Studbook KWPN. Son of Numero Uno and Zachary, mare from Berlin. Great jumper with much scope and good technique, very careful. Results 7yo classes. 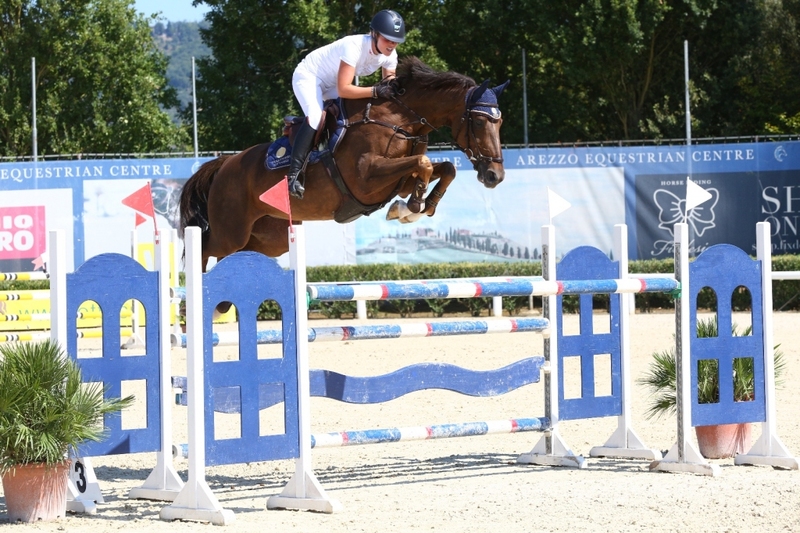 He is obtaining interesting results in the youngsters classes with his rider Martina Meroni. After a high-level professional career the moment has arrived for LHARA to relish in becoming a mother. 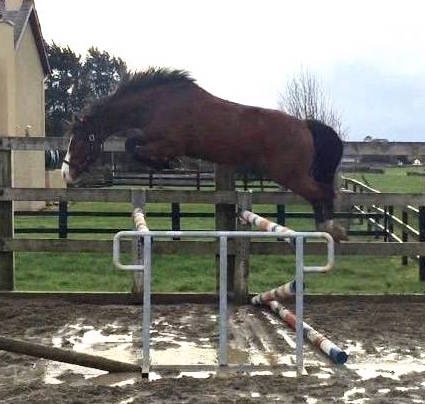 She is a highly talented and very strong mare with great execution when jumping. 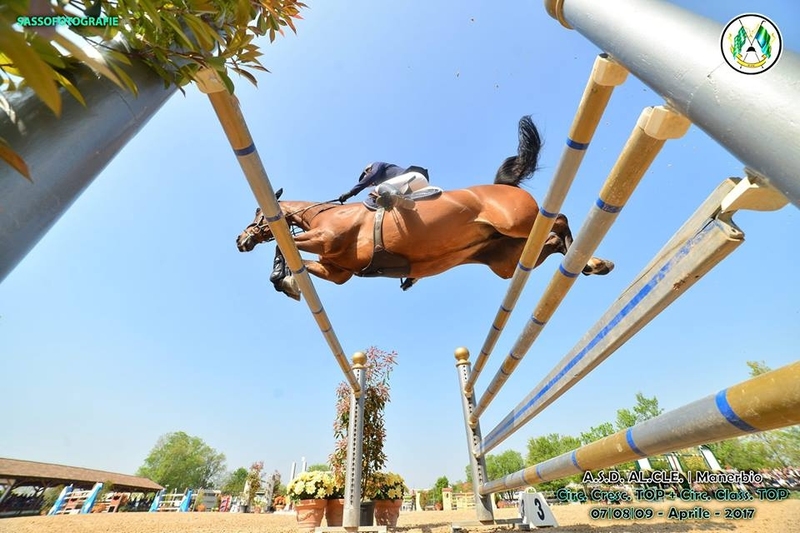 The best Belgian and French genetics producing great talent and demeanor when jumping! Outstanding genetics! 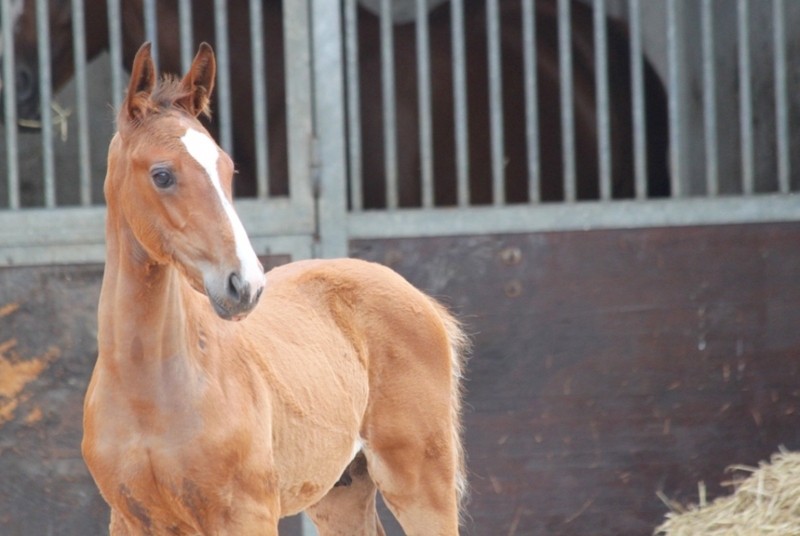 She is the full sister of the performing stallion Ogano Sitte! 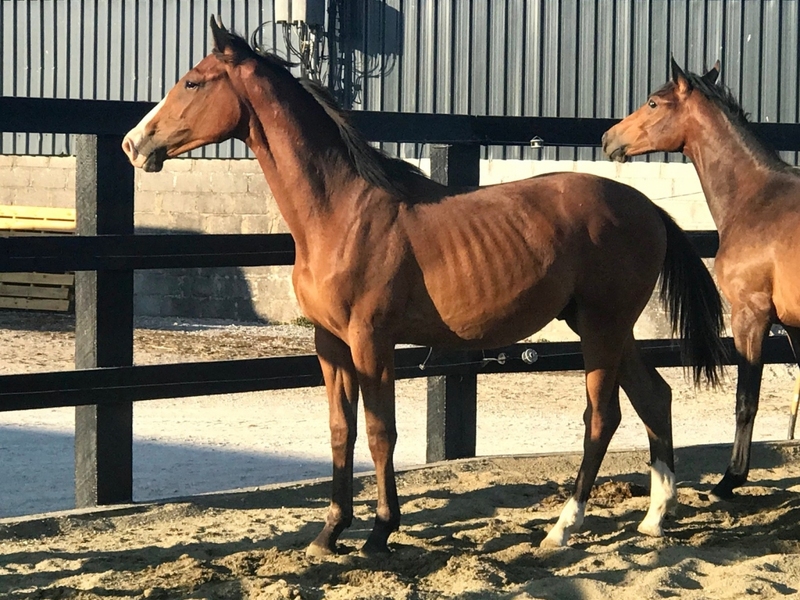 This chestnut gelding is by the clone of QUIDAM DE REVEL. 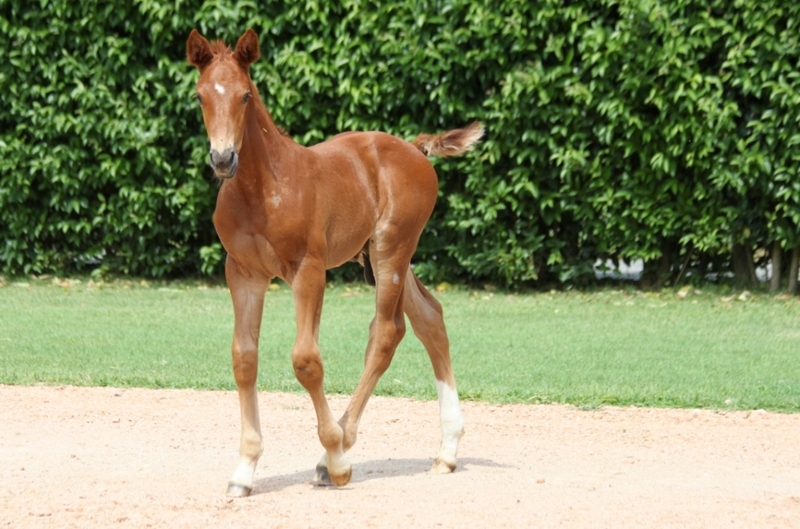 His mother line is the one of the prestigious NARCOTIQUE DE MUZE II, daughter of the unforgettable top mare QUERLY CHIN! These are special genes! 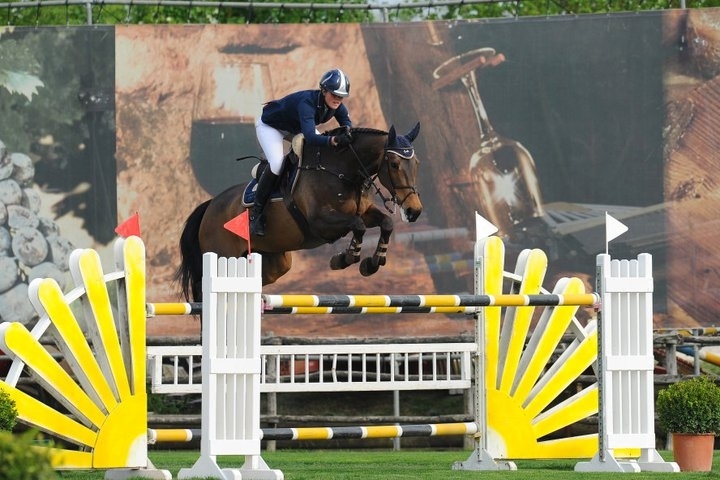 Descendant of the famous mare CANDY (Nabab de Rêve x Etretat), ridden by Pieter Devos in 160 class! The mother INTENZ VAN HD is jumping in 155 class! OXBOW DE MUZE is born by FANTOMAS DE MUZE and by a young mare descending from the prestigious mare line of DIAMANTHINA VAN'T RUYTERSHOF. 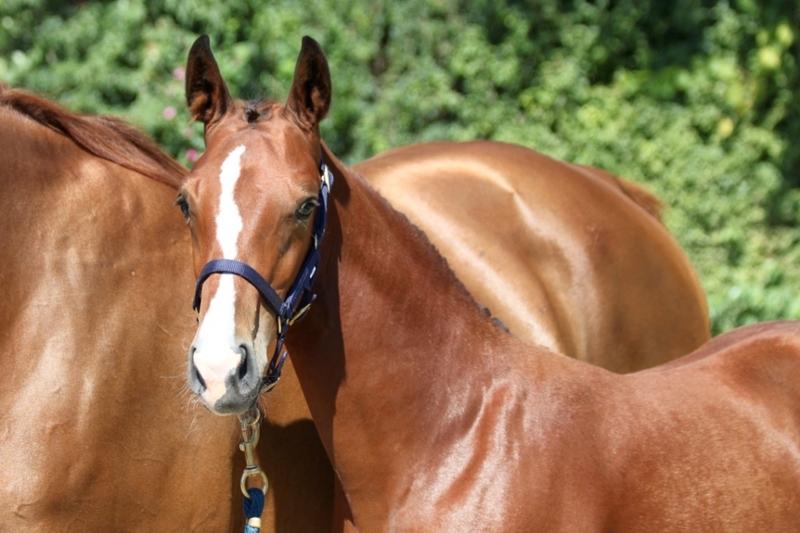 This mare is nothing less than the full sister of the performer stallion EMERALD VAN'T RUYTERSHOF! Beautiful mare, nice to ride and very scoopful! She obtains results in 140 classes. After a very good carrier with many results until 160 class RIVELLA SITTE enjoys her well-deserved retirement as broodmare! RIVIERA SITTE is synonymous with competitiveness. She has had numerous placings and victories in the 145 category! She is one of Martina Meronis most important companions for adventures! High class agility and elegance! Top quality and respected produce of the best Dutch lineage! 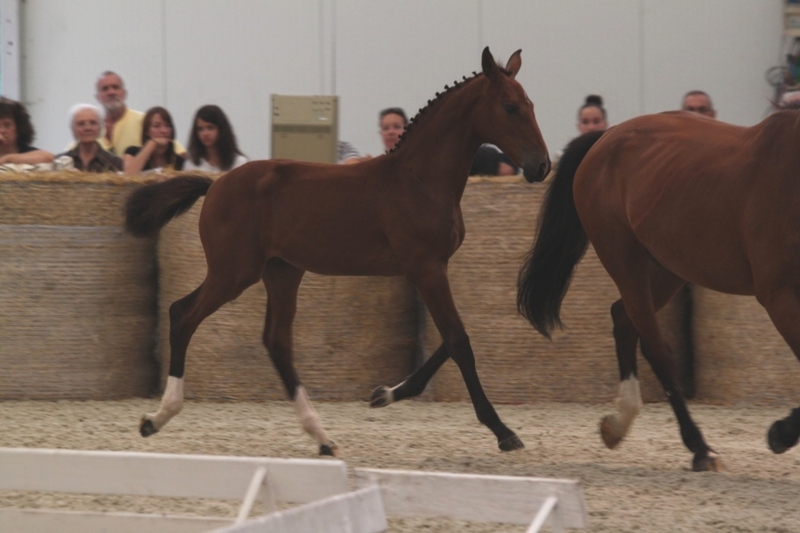 This young mare is the fruit of an amazing inbreeding with big Darco and Insel Sitte. 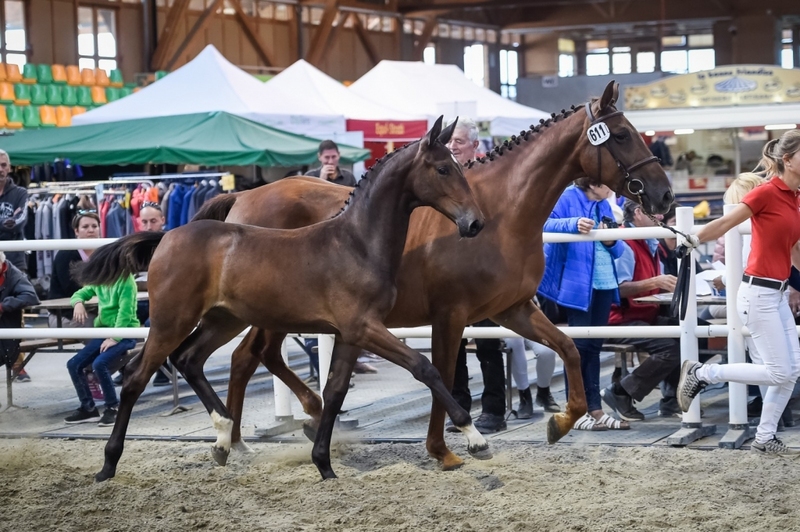 She was ranked 6th in the 2013 Swiss Championship for Foals. In 2018 she begins her sport career jumping 5yo classes. 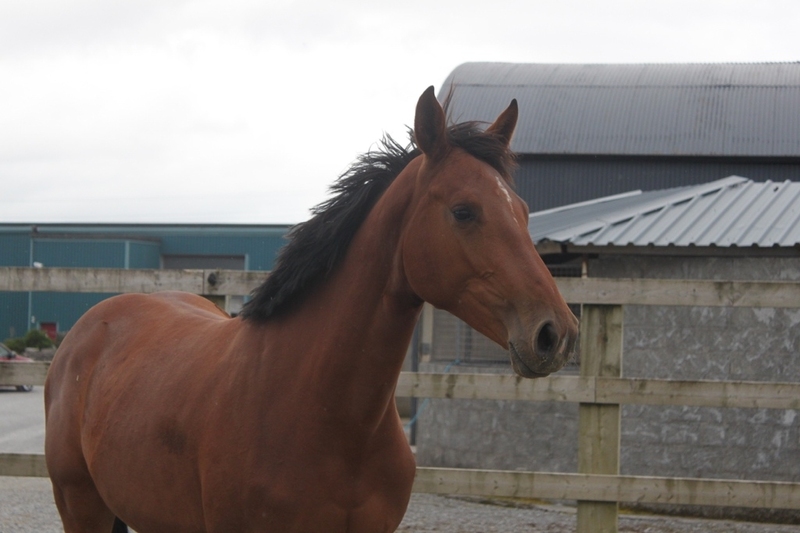 BEEZIE is very easy, she has a good jumping attitude, she is quick and careful. 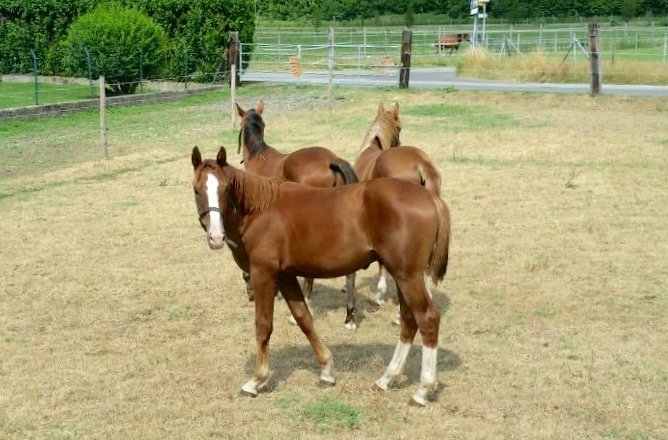 A brood mare of German and Belgian lines with great potential! The product of mixing two of the best European lines: the Holst. 104A line of Cassirado and the Gute Sitte of S.M. Britania Olympic line! In 2018 CALEDONIA begins her sport career in 5yo classes. She was born in 2013 to Cascari (Reservesieger Holsteinerkörung 2007) and S.M. 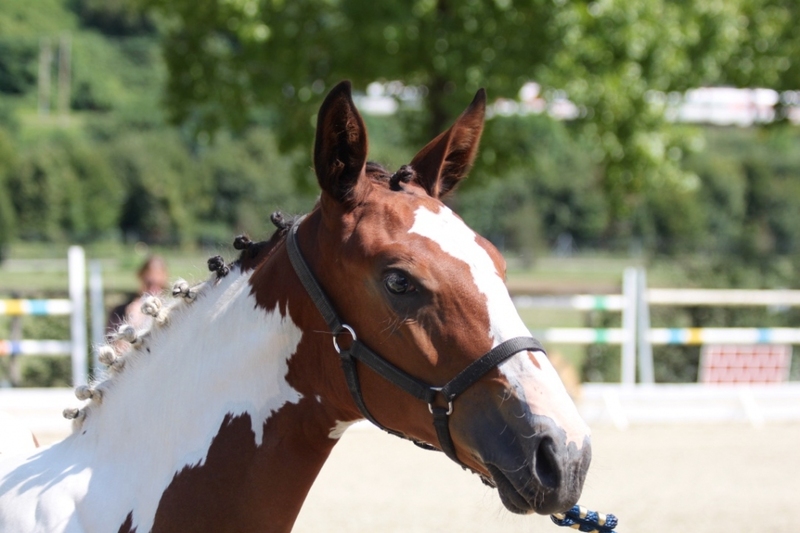 Conalta (Con Air), who was the winner of the Swiss Breed Classic in 2011! 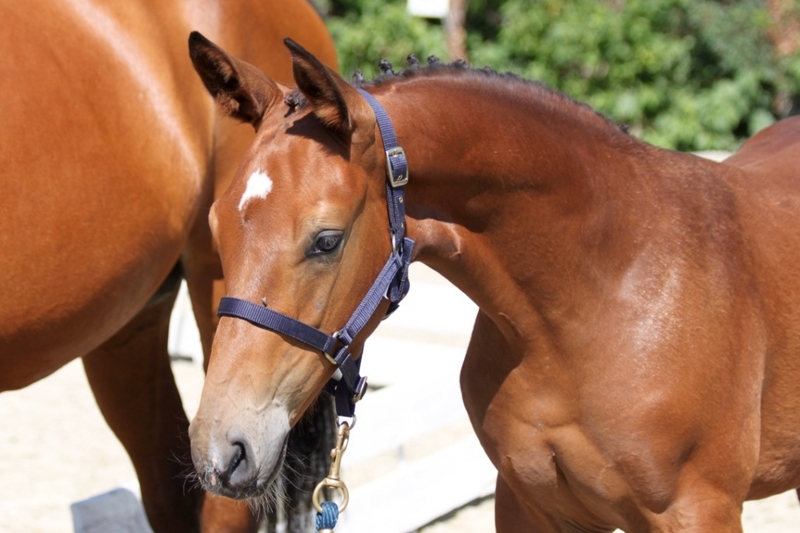 This bay young mare has outstanding genetics! 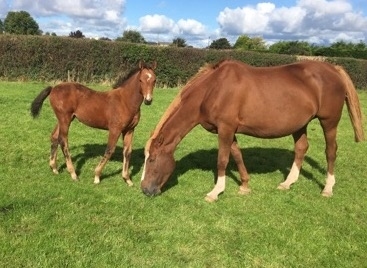 In 2017 she had a foal by Tyson. In 2018 CASALTA begins her sport career jumping 5yo classes. 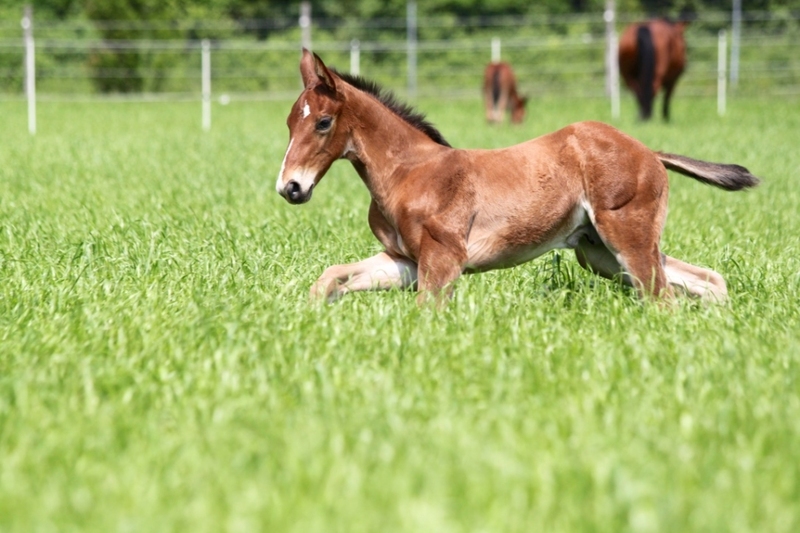 A modern and athletic foal! The great Darcos name appears twice in his pedigree! 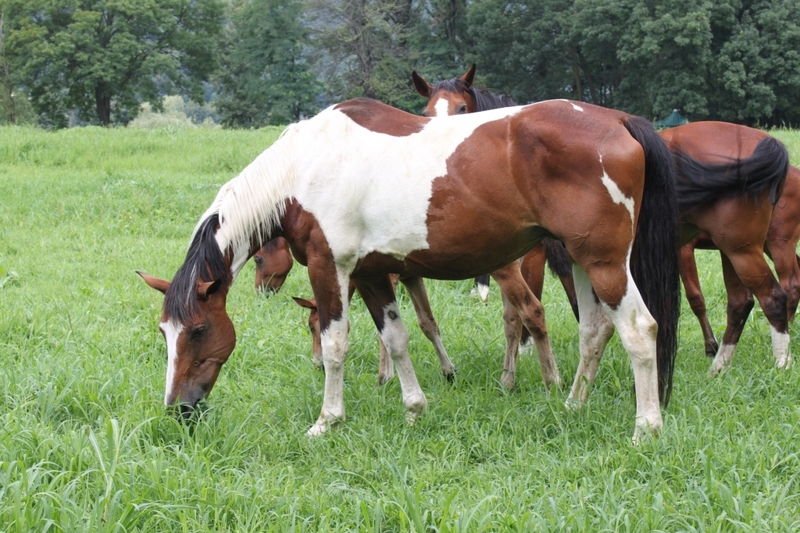 The genetics in this modern young mare find their origins in Holstein, Belgian and Irish breeds! 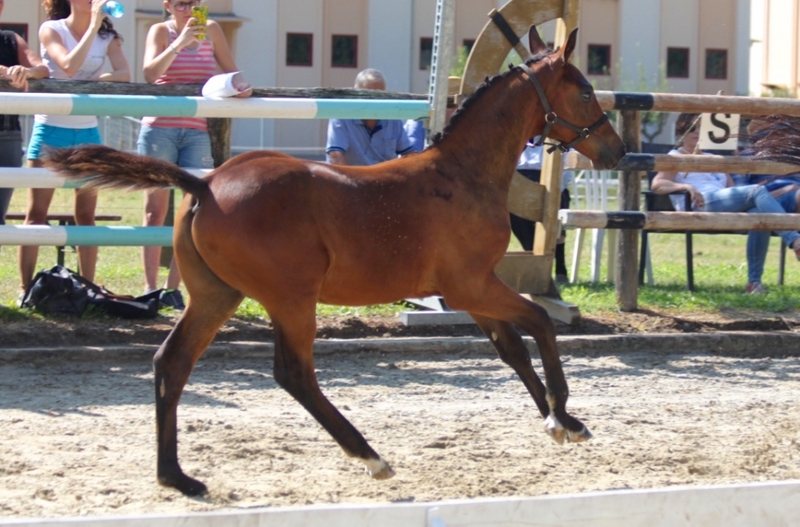 She came 7th at the Swiss Sports Foals Championship in 2014. Mare out of Cascari and Dura di San Martino (Darco). 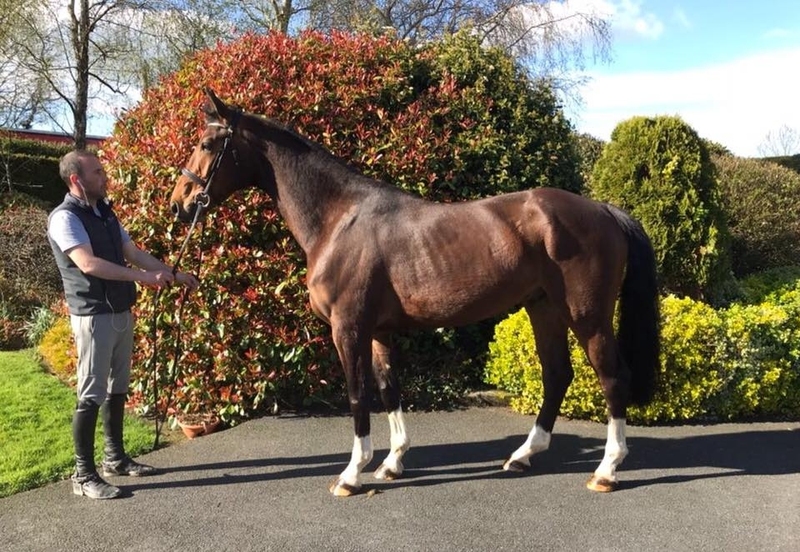 This promising bay female has a great physique and excellent strides. In 2018 she begins her sport career jumping 5yo classes. A well-developed youngster with great potential. 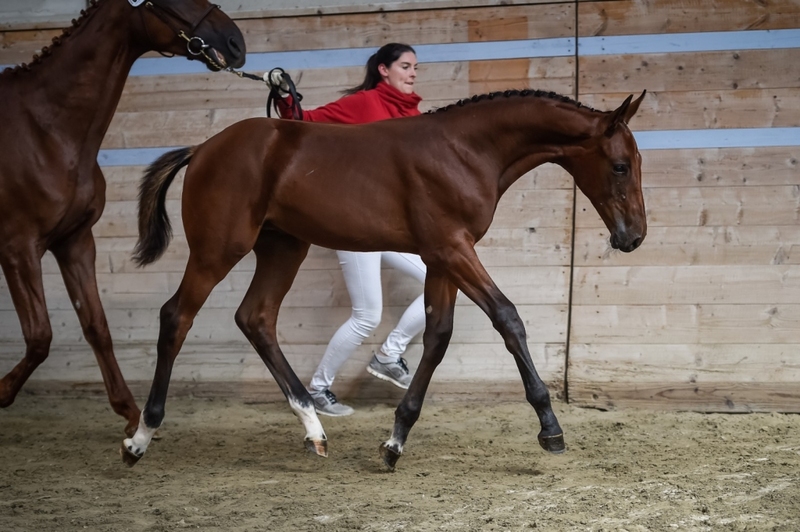 Descended from Gomeri della Caccia, stallion of Dollar du Mûrier x Acobat II and Nialta Sitte, a full sister of Ogano Sitte! 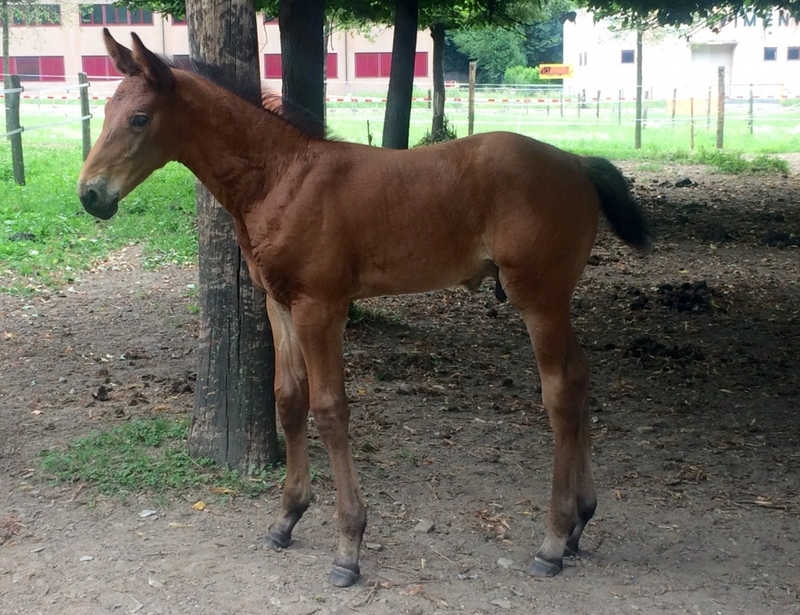 A modern filly, descending from the Gute Sitte Olympic maternal line! S.M. 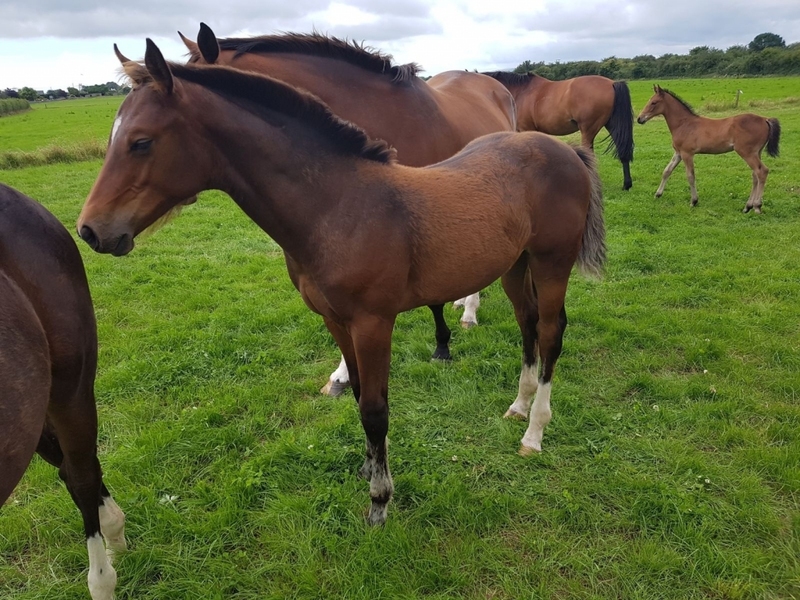 MAXIMA was born on Irish soil and is relishing her first years of life on the lush pastures of this country. A great companion for adventures, with a big heart! A coloured mantle and jumping genes! Holst. Stamm 104A: synonymous with guarantee! 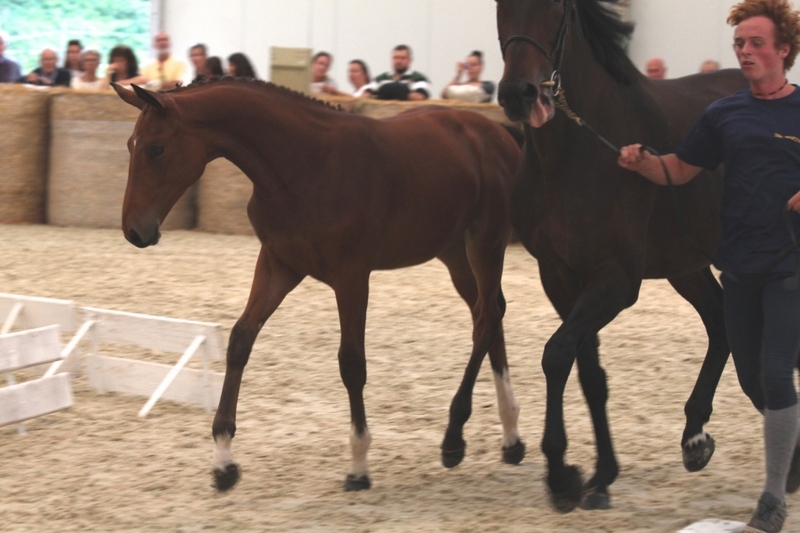 Expressive, agile and sporty: the result mixing a Holstein with a Thoroughbred! 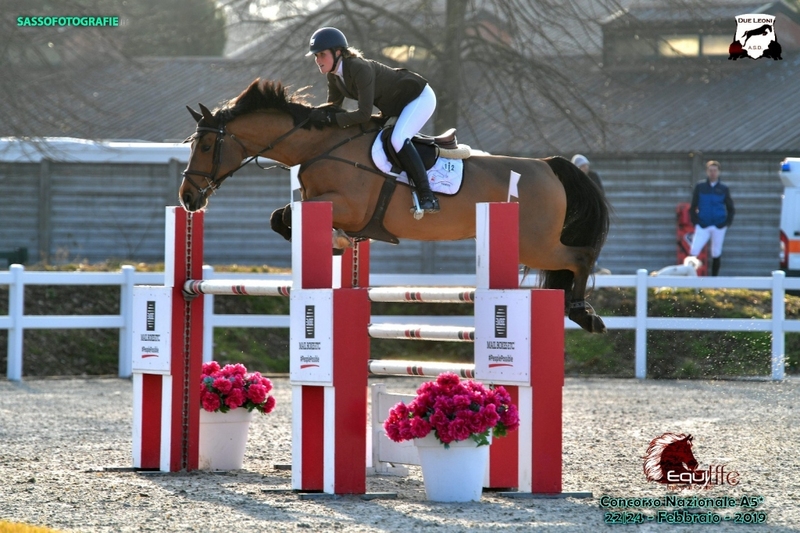 VERSATCHE DE LA ROQUE is a modern and powerful horse. Much scope, very quick and careful: this is his best description. Actually he's obtaining results in 140 classes. Has had resutls in the 160 class and has offspring jumpers in the same class! Quality genes!